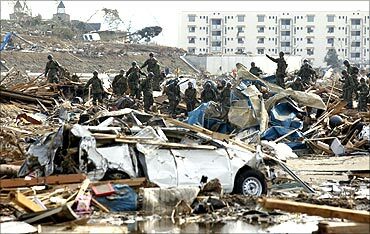 Earthquake and Tsunami has badly affected Japan. These two natural disasters made thousands of people homeless. Many victims of this Catastrophe are suffering form fatal diseases. Apart from this human loss, automotive industry has also suffered a lot. Tsunami has wrecked great number of vehicles. This includes 1,300 Infiniti luxury cars. Almost 1,000 of Nissan vehicles have been damaged at the port of Miyagi. Nissan, the second-largest automaker of Japan; has ceased its production in four plants. On the other hand, Honda has also planned to cover up its plants and it is expected that it will lose production of 16,600 cars and trucks along with 2,000 motorcycles and scooters. Toyota, prevalent company of Japan and World’s leading automaker, whose big market is its home, has also ceased the production. It is estimated that Toyota will lose production of almost 40,000 vehicles. Few days before this Catastrophe, Toyota redefined its “Global Vision” and decided to enhance its sales up-to 10 million. Current situation depicts that now, it will not possible for Toyota. Some analyst said that this disaster is a great opportunity for Korean and U.S automobile companies to capture the market share of Japanese automakers.